Gobs of gourmet bakeries have elevated the cupcake from humble dessert to designer confection. But despite all the attention, cupcakes haven’t really changed that much. They’re still a perfectly portioned comfort food that delights young and old. If you like experimenting with cupcakery at home, we’ve found an appliance that makes it fast and easy. The Babycakes cupcake maker can bake eight mini cupcakes in eight minutes or less. It’s powered by 1400 watts that heat the nonstick baking plates, similar to a waffle maker. Beyond cupcakes, the Babycakes appliance is great for baking mini muffins, scones, quiches, brownies, and other snack-sized goodies. It comes with a recipe book, decorating tips, piping bag, pastry cutting and crust forming tools. For a new twist on traditional cakes, check out the Babycakes Cake Pop Maker. 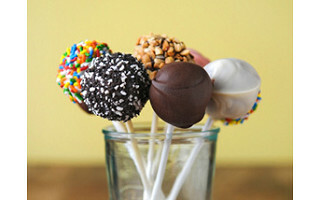 You can bake 12 cake pops in just minutes, then add sticks and get creative with the icing and decorations. It’s a great way to involve kids in baking. No matter your craving, Babycakes has you covered. You can turn out home-baked goods just like your grandma did without all the mess -- in a jiffy. Hi Daily Grommet fans. We are excited to be back at Daily Grommet today as they help us launch three new products in our Babycakes line. Like our Babycakes Cupcake Maker, each of these three new products gives you a quick way to make a tasty and unique mini treat. Whether your indulgence is whoopie cakes, donuts, cake pops, or cupcakes these new makers and accessories will have you baking desserts that are anything but ordinary. I am here to answer your questions. I'm always looking for ways to make stuff and not use the oven in the summer. Will any cake recipe work in the Babycakes? @Sheila: They do give you cake recipes in the book that comes with the machine. Different cakes and mixes rise differently so it's good to experiment. If one doesn't quite work the way you expect, try another. You will have success with most recipes and mixes. @C R: Here is a pdf of the Babycakes Instruction Manual and Recipe booklet. Just click on the image below and a pdf will open that you can print off. If you create new recipes, please stop back and leave us yours! I apologize for my skepticism, but: do the cupcake liners being sold here actually fit the cupcake maker? I notice that the company's web site does not offer cupcake liners, and reviewers on other sites that sell this product are complaining that mini cupcake liners are too small and that no liners in the known universe fit the cupcake maker. So that's why I'm wondering whether the cupcake maker needs a special size of cupcake liners; whether that special size is what's being offered here at Daily Grommet; and whether I'll be able to buy my cupcake liners at the supermarket. I really want the cupcake maker, but I don't want to be forever searching specialty stores for liners. (I do see that you can make the cupcakes without liners, but I would want to use cups.) Thanks! @Tari: Hi Tari - Yes the liners they sell fit the Babycakes machine. I order these from them and they are the correct fit. @Juli Rowland: Thanks! So you can't get the right size in, say, the baking supplies aisle of a supermarket? @Tari: The mini cupcake liners that are readily available are created for a different use by a different company and are slightly small for this machine. We have testers who have done fine with this 1 1/4" inch size, although the ideal size is 1 5/8" that we sell here and ships directly from the Babycakes company. @Katherine Klinger: Thanks! Actually, there are lots of brands of mini cupcake liners readily available, and they tend to be one of a couple of sizes. It's a bummer they don't match up with this machine. Having only one source for an essential and consumable "accessory" for an appliance seems like a headache. It'd be like having a lamp that uses a nonstandard bulb only made by one company and only sold by one store. It might be a great lamp, but I'd stick with one that uses the bulbs sold in every other store. @Tari: Oh that's great. If you have a variety of sizes available to you, you may be in luck! I know that the ones I've seen locally are all the same brand and are the 1 1/4" size. I understand your hesitation but if you do want to give this a try the liners are available here and you can stock up. You'll draw inspiration from Juli and others who have posted some recipes that they've made with their Babycakes cupcake makers here...and it goes way beyond cupcakes! @Katherine Klinger: Maybe I misunderstood, but I thought Tari said none of the mini cupcake liners she's come across were the right size. I haven't been able to find them, even at Michael's, which was suggested by Babycakes' manufacturer. Are the liners sold @ Daily Grommet the correct size, between mini and regular? I own a gift shop and use this product for treats for my guests and need liners. @hollergirl: Yes, these are the correct size. They are being shipped directly from the Babycakes company. Yes, you can use cake recipes (mixes) with our Babycakes Treat Makers. Both the Cupcake Maker and Cake Pop Maker do very well with cake mixes. The Donut Maker is designed more specifically for quick bread recipes, but you can use cake mixes. There are specific Whoopie Pie Mixes in the market, but our Home Economists have given Hints and Suggestions when using cake mixes with this product. Is the recipe mix fairly easy for the donuts was intrested in making with my second graders with parental supervision of course. Thanks! @MARCIA: I had fun making the donuts with my kids (3 & 6), the recipe from the included book was very easy, similar to making banana bread or pancakes. I used store-bought chocolate sauce to drizzle on top: messy but yummy! Question and thought...I hate to have extra appliances that have only one use. Do the pan (metal) parts exchange? If not, that would have made this purchase a no brainer! @Shawn Gallego: The plates don't interchange. That's a great idea but I bet it's more complicated than we realize to make that happen. @Shawn Gallego: I thought the same thing! It is like a George Foreman grill and could be like the one with interchangable plates that go in the dishwasher. Bet that's what's next! awesome.... any chance they'll be arriving in Cape Town, SA, soon? @Adele: Welcome from half way around the globe! Hopefully they will make their way to you, too. @ Shawn Gallego: Great idea on the interchangable cooking plates. Rhis may be an idea for the future. Right now the shapes and depths of the cooking plates don't allow for this solution. Plus each treat bakes at a different rate and the various products use different wattages. For now you'll have to settle on your favorite snack. You will save some time compared to your oven and won't have to use as much power. I would like to see one machine with interchangeable plates instead of 3 different machines! How does the cake pop maker work? I know on making cake pops you have to put the frosting. @Loida: I will have someone with first hand experience stop back and explain the process. Thanks for stopping by! Hi Loida - I was the lucky tester for the cake pop maker (those are my kids devouring them in the video). You're right, they're delicious when frosted, though you don't have to frost them. In the recipe book that comes with your Babycakes, you'll find a few different recipes for frosting/decorating. So I used pre-made vanilla frosting, but added in some chocolate chips, and melted it in the microwave so it would be nice and smooth. Once the cakes are cooked and cooled, you poke the sticks (included in the kit) into the cakes, and roll them in the frosting, and any candies or sprinkles you've chosen. Then, you stand the sticks up on a little tray they send (you'll see this in the video), so the cake pops can dry upright. There's a glaze recipe that looked tasty too, by the way. If you test it out, hope you'll stop back and tell us how it goes! When baking multiple batches of cupcakes, is there hint on how to get them out of the maker more easily/quickly? I don't want to use a knife and they tend to stick a bit, especially after the second batch. 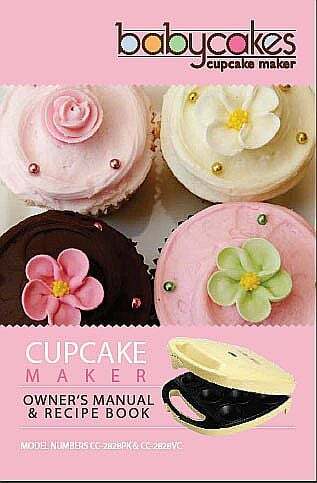 @kelly martin: I know that Juli, who uses her Babycakes cupcake maker daily, uses non-stick spray before each batch. You can also get the paper liners. I have the babycakes cupcake baker and love it, however, I am unable to find paper liners in the correct size. Can you help? @hollergirl: We are selling them here. In the shopping box to the right of the video you can click on the options drop-down and select the liners. Your site is always unique and full of great ideas! I like all three of the options, but my favorite is the cake balls. Any idea if one of the machines would be best for brownie mix? @Leenata: That's a great question. Eric recommends using the Cupcake Maker and paper liners when cooking brownies because brownies are very fragile when hot and need the liners to get them out of the machine to cool. Just "liked" your facebook page :) What a site! Can't wait to browse it somemore! I love the concept of the whoopie pie maker, yummmy!!! what an exciting new machine and it looks so easy!! Do you think you could make someting like Ebelskivers in the cake pop or the cupcake one? They are like round filled pancake balls. @Kristina: Great question! Eric has let me know that his team of Food Professionals have not tried Ebelskivers but it is on their list to try. We will stay tuned to whether or not they are successful. If anyone else gives it a try, let us know! @Kristina: A lot of our fans have asked if any BABYCAKES products could be used to bake Ebelskivers, a type of Danish pancake. Well . . . the BABYCAKES cake pop maker works perfectly. They bake quick (3 to 4 minutes). You can use the convenient fork tool to turn them during the cooking if you like, but you don’t have to turn as frequently as when cooking them in a pan. Lightly brush the wells with melted butter or spray with non-stick. If you don’t use non-stick, these delicate pastries could stick in the reservoirs. Don’t fill the reservoirs with oil or butter. Ebelskivers are traditionally served with jam or preserve – try drizzling them with syrup for a different taste. In a small bowl whisk together egg, sour cream and buttermilk. Pour into dry ingredients and whisk until smooth. Preheat Cake Pop Maker. Using a pastry brush, brush each well with melted butter. Fill each well with about 1 tablespoon batter. Bake 2 to 3 minutes or until softly set and golden brown on the bottom. Turn Ebelskivers and bake 2 minutes or until golden. Generously sprinkle with powdered sugar. @Eric Endres: That would be great to make ebelskivers with this machine! Do they puff up in the cake pop maker so that you can fill them? I know the trick is to have your pan very hot and oiled before putting the batter in if you're using an actual ebelskiver pan. Do you just let the cake pop maker heat up for quite a while and drizzle with oil? @Julia: Our food experts were able to fill the Ebelskivers they made, as the batter will rise. Pre-heat the cake pop maker and brush on melted butter or a light layer of non-stick spray. As we suggested before, don’t fill the reservoirs with oil or excess butter. This is a slightly different process than baking in a pan. @Eric Endres: We also had a great suggestion from a member of our community. She suggested using an old ketchup or other squeeze bottle to fill the wells with the batter. It will be easier to fill with less mess. She also mentions that with traditional Ebelskiver a knitting needle is used to make the hole to be filled. @Stacey M: Yum! Great tips, thank you. I think you and these machines would get along very well. You could probably use a macaroon recipe although I think the cake part would be a little thinner. Still very cute and tasty. I have made ebelskievers in a regular pan for years. I was hoping I could use the cake pop machine to pour in some batter, add chocolate chips and top with more batter, close the machine and bake. Would this work? Should the pancake batter be thick or thin, and will the pancakes just puff up into the top wells? How long would they need to bake? @Kristina: I used my Babycakes cake pop maker today for the first time and made ebelskivr. They came out AWESOME. No need to tweak the recipe at all. I just bought my babycakes cupcake maker! 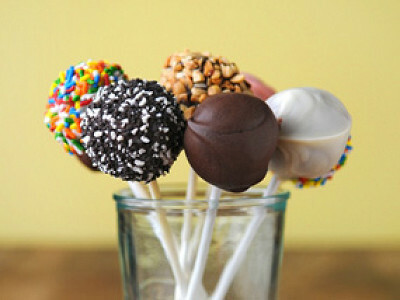 I love the idea of the cake pops also, they are so cute and fun to make. I loved all the baby cake makers wish I had one of each but if I would have to choose all go with the donut maker, since I dont use sugar I use stevia It would be fun to make something special for myself and my grandkids..they would love love love them..
and looks so easy to use..I love all the colors. May I ask where do you find the cake pop maker? @J Salinas: It is available here. You can purchase it by clicking on the 'choose an option' in the shopping box that is to the right of the video. Do you ship to Cape Town? @Marion: At this point we don't ship to Cape Town. @Julia: Now we are hungry! Thank you for sharing the recipe. Let us know if you try them out! I just tried to use the Mini Whoppie Pie Maker. I make whoppie pies all the time from the Amish receipes and was excited about this maker. However, it was a disaster. It stated I should use only 1 teaspoon of batter in the preheated machine and cook for 2 minutes. I got hard little balls completely burnt. Next I increased the amount of batter, tried 2 minutes and they burned on the bottom and some brown on the top. So I decreased the amount of time I had them in the machine and no burning or brown spots but also not cooked. Help, I was so excited to get this machine and in fact have ordered the other two but am seriously thinking of canceling those orders. I would really like this machine to do what it is promised but need to know what I am doing wrong. Of course I cannot serve anything that is so burnt or unappealing. @Gayle: Try using a recipe from the cookbook. If you get similar results I would say there is something wrong with the appliance and it should be returned. However, it may be something within the recipe itself that is not suitable for how the Whoopie Pie maker cooks. I was told that there is a contest to win a BabyCake machine? If so, what do I need to do to enter? Also, I would like to buy one for my daughter in-laws (for my grand kids). Where do I order them? I love this site! Have a great Thanksgiving holiday. @Peggy Farrow: You can order the Babycakes machine just to the right of the video on the Babycakes feature page. The contest is being held at the Pioneer Woman's website. Good luck! Just a regular glazed donut is fine. @LOIS: Yes it will work well with most mixes without altering the directions. If you've found one where it doesn't work as well, try another one or try one of the recipes that come with the machine. Simply plain, with the sugary icing...HOT!!!! well, at least warm!!!!! I purchased the cake pop baker a few months ago and had it in our camper all summer long. It was a blast to have the grandkids help me in the morning to make "donuts"! I would use a $1 bag of muffin mix in a ziploc bag, add water or milk as directed, they would squish to mix, and I'd snip a corner to fill the spots. We never had them around long enough to roll in powdered sugar or icing. They would eat them plain :) I always say we will try a REAL donut recipe or make cake pops but when given a choice they want chocolate chip or apple cinnamon muffin (donuts). @Jodi: That is such a great use of the cake pop machine. It made more than pops it made wonderful memories! Is the babycakes pink a donutmaker? @Valerie: That is a good question. No, it's the original Babycakes machine - the cupcake maker. 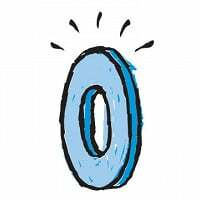 I love any kind of doughnut with icing! I love donuts...The residents at the nursing home I work at love them too! We could have great fun making them in cooking class if we had a babycakes! @Brenda: What a great idea! You should let someone know that it is on your wishlist. I know many friends and relatives of patients would love to contribute something that would be such a hit for the residents. @Helan Barrick: Hi Helan. We are taking orders for them here and they will ship on December 15th. I waited over 5 hours to get my Cake Pop Maker on Black Friday and it was so worth it! I used it for the first time today. Love it! Not only is it great for the cakes and brownies, but I kicked it up a creativity notch and also made pizza balls, cheesy egg balls, maple syrup pancake balls, and blueberry muffin balls. A little something for everyone! Yum! @JennCelica: You have been busy! Does Babycakes brand really make a mini doughnut maker that makes 12 doughnuts at a time? I just ordered one on-line and am hoping I receive what I expect. @Laurie W: It is possible as they make special machines for different retailers, however, it's not one that is currently a part of their standard line. I just bought the special edition 12 cupcake maker. Will a regular cupcake liner fit this or will the ones offered here work better? I'm so looking forward to making cupcakes in the heat of summer without using an oven. If this works well, I'll be out searching for the pie maker. Speaking of which, is canned fruit filling the best option for this (especially apple) instead of fresh fruit? And I want to second that idea of interchangeable plates. @Jeanine: We don't sell the version you purchased so I'm not sure if the wells are a different size from the one we are featuring. The liners we have available are 1 5/8" in diameter by 0.85” high. Enjoy your new machine! @Rachel Garcia: They work great. We have sold many and have not yet had someone come back and post that it didn't work for them. Enjoy! I was excited to get my cake pop maker in the mail today and promptly decided to make some. However, my machine refuses to heat. I know it's the first use, but I'm afraid it might not be normal. What do I do, and how do I solve it? I don't like the sound of that...it should heat up. As long as you know you have tested your outlet and it is working for other appliances, I would conclude that you got a defective unit. Email [email protected] and we will tell you how to return it and get a perfect cake pop maker on the way. Last month I purchased a cake pop maker and although the first batches didn't turn out...the top of the machine doesn't quite meet up with the bottom, the unit cooks them well. Because of this flaw, the pops look quite unique and a number of ladies who saw my pops posted on Facebook asked me to make them for a bachelorette party! For Christmas I got the cupcake maker. I thought the cupcakes would be smaller than they are. My regular liners do fit the bottom and sides of the machine, but are too tall. So really, rather than a mini cupcake, it's just a shorter version. Since I don't like relying on online sources to get what should be sold result in the stores, I will be returning mine to the store. I'm sure it works fine, but besides my iPhone, I don't have the internet, so ordering paper liners won't work for me. @Sandra Futros : Glad to hear your cake pops were a hit! For the mini cupcakes, if you prefer the liners a bit shorter (and don't want to order online) you can always trim them down a bit. Just sort of fold them in half and cut the half circle rim a little. I've done this before and it worked great for me. Happy baking! I received the donut maker as a Christmas gift and would like to know if I can use a boxed quick bread mix, pancake mix or cake mix to create donuts? @Lisa Borque: The recipes that they include in the booklet are sure things, but it's also fun to experiment and find out what else will work. Not every mix is going to work, but many will. Was wondering if you can use a boxed cake mix for the donut maker and if so, do you need to modify the recipe on the box at all or just follow it as is. Thanks, excited to use the donut maker. @pat: I have been in touch with the team at Select Brands and they say that it will work but it will be more cake-like than donut-like. You could try a pound cake mix if you would like something more dense. Otherwise, to modify the recipe you could compare a donut recipe to a cake recipe and see where the ingredients differ and adjust accordingly. They have had success with all sorts of mixes and suggest just having fun and experimenting. @Pam: What a great way (& different) to create special yummee treats for a SuperBowl party. Here's a variety of recipes suggested by the Select Brands team. I have loved experimenting with my cakepop maker lately. Last night was all about brownies. To some of the batter, I added chopped cherries. Then, coconut to some. Even added the dehydrated mini marshmallows from the hot cocoa packets. But I think the best was the real bacon pieces I added. I know it sounds wierd but it was great! So my question is this: What about savory recipes for the cakepop maker? I'm going to work on some pizza bites tonight with garlic cheese biscuits and mini pepperoni. Any other thoughts??? @Jessica: It's great that you are adventurous & creative & having a blast with your cakepop maker. Thank you for sharing some yummee tips too. You can browse here for savory recipes and ideas. @Chew-Hoong: I appreciate the link but I've seen all those and I'm just left wanting more. There aren't many savory ones there or anywhere else for that matter. Gobs of gourmet bakeries have elevated the cupcake from humble dessert to designer confection. But despite all the attention, cupcakes haven’t really changed that much. They’re still a perfectly portioned comfort food that delights young and old. If you like experimenting with cupcakery at home, we’ve found an appliance that makes it fast and easy. The Babycakes cupcake maker can bake eight mini cupcakes in eight minutes or less. It’s powered by 1400 watts that heat the nonstick baking plates, similar to a waffle maker. Beyond cupcakes, the Babycakes appliance is great for baking mini muffins, scones, quiches, brownies, and other snack-sized goodies. It comes with a recipe book, decorating tips, piping bag, pastry cutting and crust forming tools. For a new twist on traditional cakes, check out the Babycakes Cake Pop Maker. You can bake 12 cake pops in just minutes, then add sticks and get creative with the icing and decorations. It’s a great way to involve kids in baking.